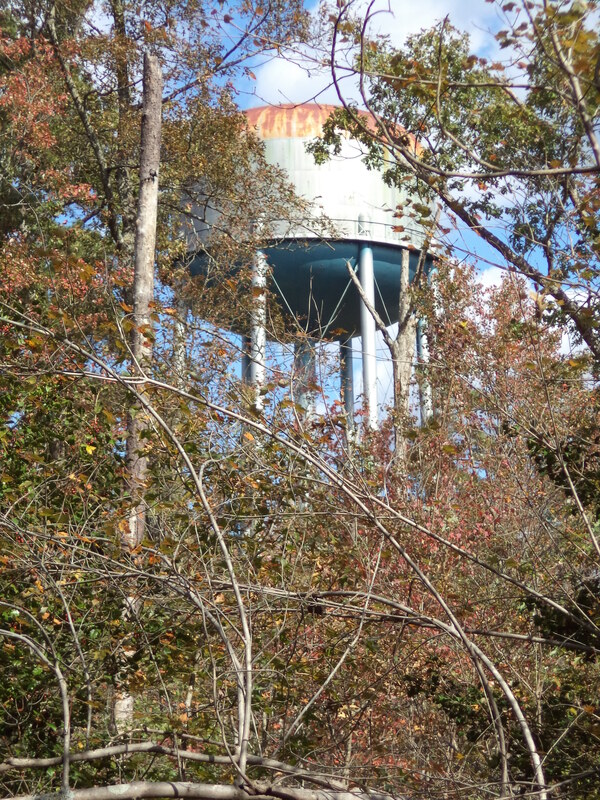 A water tower still rises above the vacant Elko tract (image Ben Swenson). 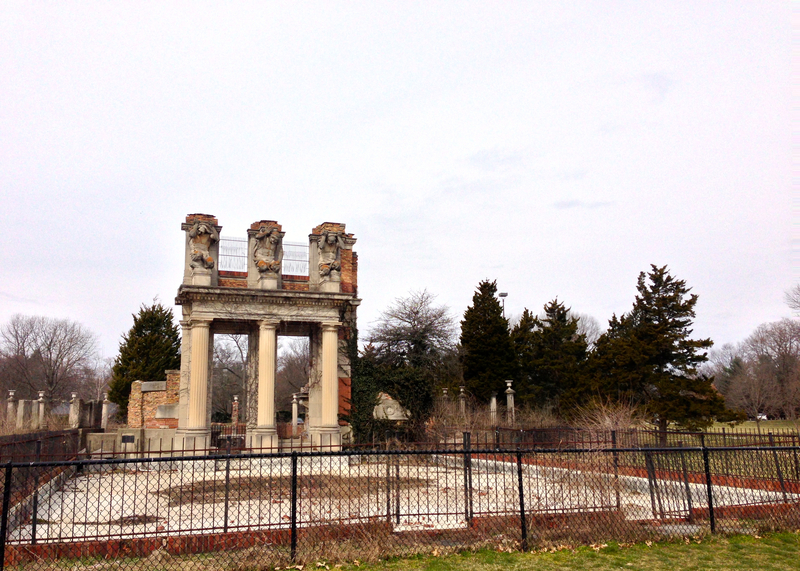 Perhaps the most distinctive ruins of the Cold War lie east of Richmond, Virginia. In 1943 a decoy airfield was constructed by the 1896th Engineer Aviation Battalion to confuse potential aerial attacks on the US Army Air Corps based at nearby Byrd Field in Henrico County. The battalion constructed a series of artificial structures and a fake runway arranged much like that at Byrd Field. Yet a compelling if somewhat more complicated story is provided by the tract’s post-war history and its interpretation in the subsequent half-century. 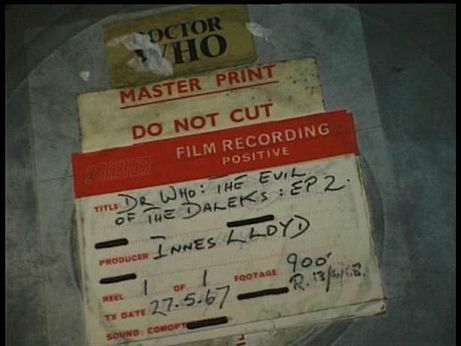 A 16 MM film canister from “The Evil of the Daleks” (image from wikimedia). Geekdom has spent much of this year celebrating the 50th anniversary of Doctor Who, which is one of the most prominent and long-lasting of all popular cultural fandoms. The impending regeneration of the 11th Doctor at year’s end and the November showing of Who’s 50th anniversary show have lent some elevated excitement to Who followers. Yet perhaps the most interesting development in Who fandom is the search for lost Doctor Who programs destroyed in the 1960s and 1970s. Television shows like Doctor Who were once destroyed as a standard practice, and the lost episodes have since become Who grail. Last week the House Science, Space and Technology Committee convened to debate the existence of alien life. This is perhaps a compelling scientific question (formally the hearing was titled “Astrobiology: Search for Biosignatures in our Solar System and Beyond?”). Nevertheless, the committee’s current membership has normally been reluctant to acknowledge any rigorous scientific insight that might upset their narrow personal visions of the world. Karl Bitter’s 1898 installation The Races of Mankind was placed on pillars when it came to Holliday Park (image from Donna Cazadd). 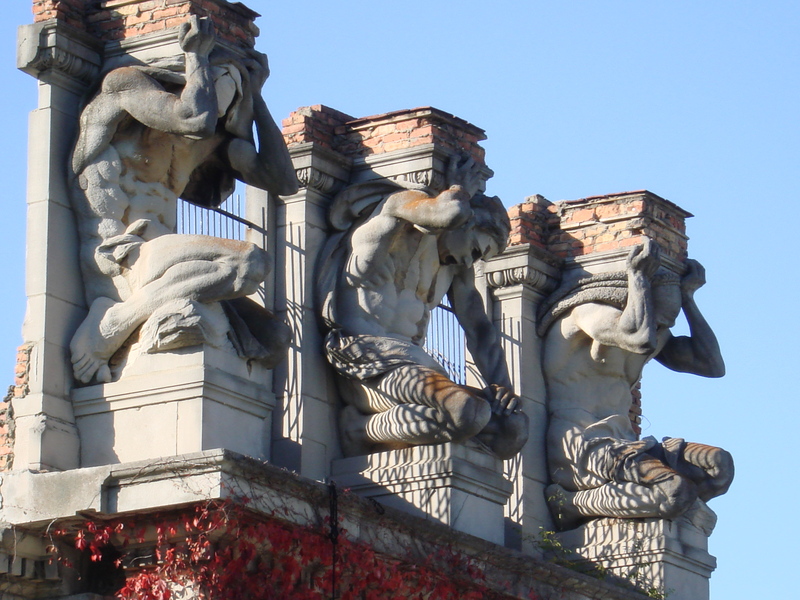 The three sculptures were created at the end of the 19th century, but the installation itself was created in the 1960s and 1970s, a faux ruin rather than a genuine architectural shell. Park boosters’ interest in “renovating” the Ruins now signals that the piece has passed from an artwork evoking romantic ruination to a true ruin that somehow fails to capture an aesthetic ideal and has no self-evident consumable value. The discussion over how to rescue an artwork that was always intended to be a ruin illuminates the complicated intersection of aesthetics and ruination.